Skiing in Les Saises « Alptitude! Mont Blanc looks lower from here! The snow condition has been very good, everywhere we’ve managed to ski! We had a fabulous day skiing in Les Saises. We don’t usually venture too far away from our local ski area, but decided it was about time we tried some other areas. 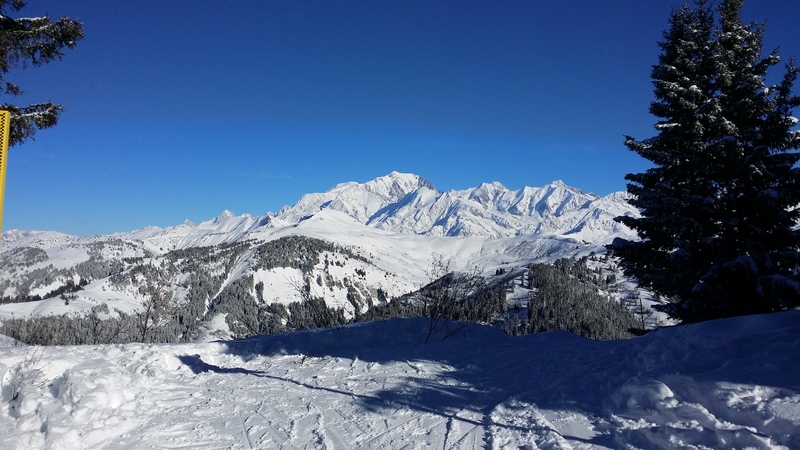 I had heard that Les Saises, was quite flat, but on the contrary, it was ‘flatish’ but the runs were continuous, with excellent snow, and it was just great to practice my carving turns! There were some fantastic views of the mountains from a different perspective, in fact, Mont Blanc looked quite ‘low’ from this side! 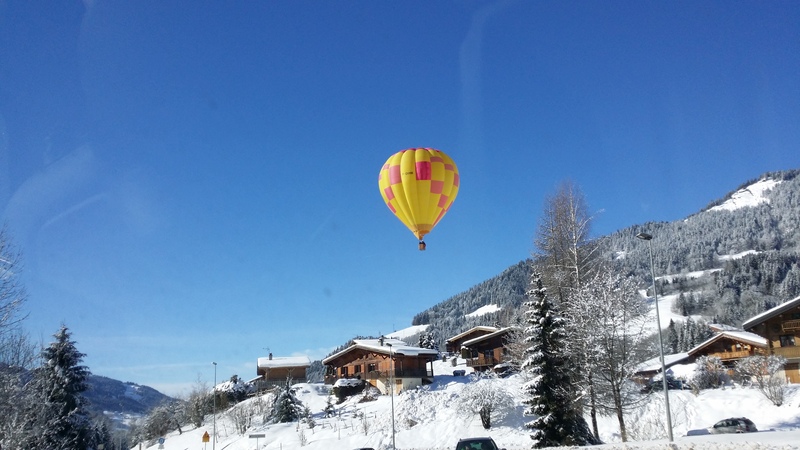 There were a few balloons around on the way there, and they did stand out quite bright against the blue sky. It really was a beautiful mountain day. Hopefully, more skiing tomorrow.